Vikalpah: Happy Earth Day !!! 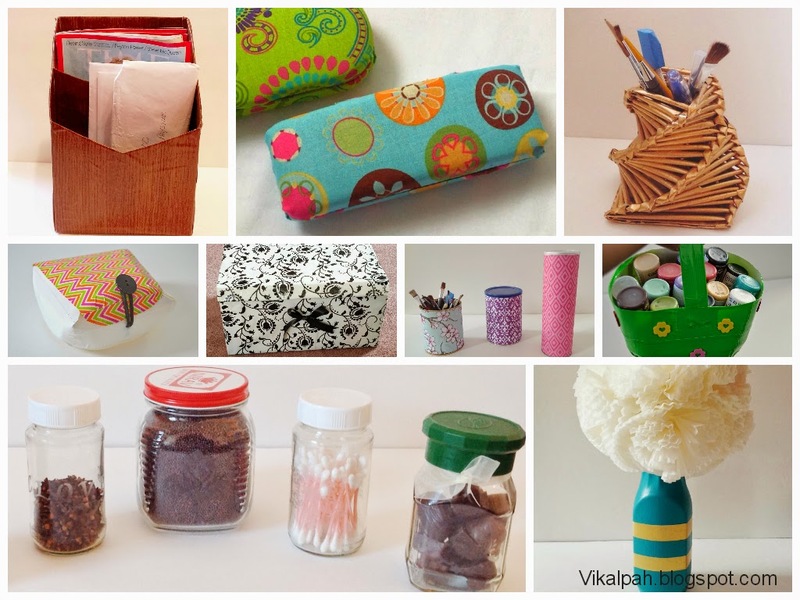 As today is Earth day ,lets celebrate by making some recycle or upcycle crafts.I am listing the links to various recycle or upcycle crafts I have done so far. 7) Flower vase from a juice bottle. What are you waiting for ? ?I am sure you will have supplies to make any one of these projects lying around your home.Grab them and start crafting to celebrate the day. If you have any clarifications,feel free to leave your comments below or write to vikalpah@gmail.com. oh fun! I used to do stuff with my girls. Now I am in to clear open spaces...but maybe when I have grandbabies I will get the crafting bug again.